Sergio Rodriguez has been practicing without any issues and is expected to play against Baskonia. 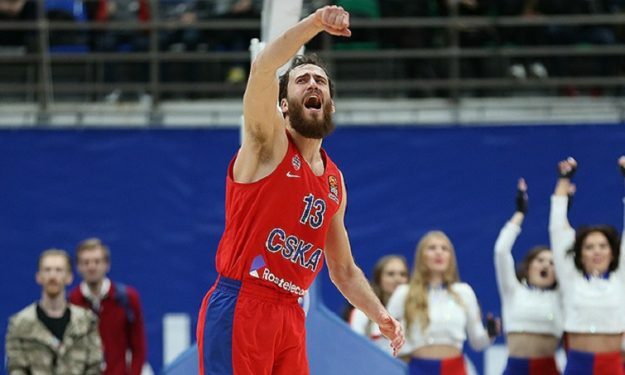 Sergio Rodriguez will be available to CSKA Moscow coach Dimitris Itoudis for the Round 11 EuroLeague game against Kirolbet Baskonia in Spain. “He is already training well and may play on Friday against Baskonia“, CSKA assistant coach Darryl Middleton said on the “SER Deportivos”, per Kevin Fernandez. The 32-year-old Spaniard missed the EuroLeague Round 10 match against the reigning champion and his former club Real Madrid due to a minor injury.